An exploration of mysteries, melancholy, love, death, religion, good & evil... plus other important stuff. Exclusively and exquisitely sung or spoken by a cast of female voices (sans a duet and probably a mixed secondary school choir - or maybe two). 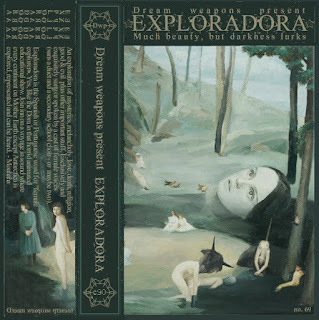 Exploradora is the Spanish or Portuguese word for "female explorer". Yes, like the Dora in that horrid animated educational show. Join inn on a voyage in sound where every continent on Mother Earth except Antarctica is explored, represented and heard. Thank you so much blezman. Glad you enjoy our humble contribution.